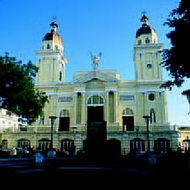 Historic Santiago is Cuba's second city and has had a major influence on the Country's development. More Caribbean in feel to Havana's Latin atmosphere, the city centre is home to numerous important buildings worth exploring, while the City itself played a major role in Cuba's struggle for independence - a fact well remembered. Elsewhere in the region, there are many places well worth visiting that don't receive many visitor. Bayamo offers an interesting insight in to a typical Cuban city, while beautiful Baracoa is a charming historic town with idyllic palm-fringed beaches. The Sierra Maestra mountains dominate the area, and it was in this region that Fidel Castro's revolutionary struggle gained a foothold. 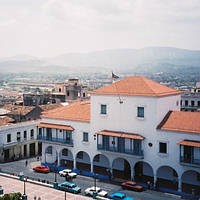 In the east, Camaguey boasts a picturesque colonial centre and is often visited en route to the east of the island. Hotels in historic Santiago tend to be in the old city - such as the colonial-style Casa Granda - or further out in the newer areas, such as the modern Melia Santiago, and the basic Las Americas. The Old city makes a perfect base for exploring on foot, while the more modern properties tend to offer typically modern facilities. Elsewhere, accommodation is more limited, although there are still some great places to stay. Don't expect high standards anywhere, though - as with most parts of Cuba, away from the main tourist areas, hotels tend to be basic. Spend a few nights in Eastern Cuba as part of a longer trip to Cuba. Santiago combines well with the beach at Guardalavaca, and Havana. Hiring a car will allow you to get off the beaten track, and comes in to its own for visiting areas such as Bayamo and the Sierra Maestra mountains. The most straightforward way to reach Santiago is by road from Holguin or Guardalavaca, and our holidays tend to use this route. 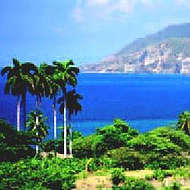 The journey – though some stunning scenery – takes about 2 hours from Holguin or 3 from the beach. From Santiago, continue on to Havana by air. Have a look at our Eastern Cuba itinerary suggestions and our range of hotels in this part of Cuba. If you see something of interest call one of our friendly reservations staff on 020 8989 0970, or fill in a quote and we'll check availability and get back to you. If you're not sure what's best for you, ask to speak to one of our staff for ideas and suggestions.